Accompanying refugees in attaining citizenship and removing barriers for greater belonging. Portland Meet Portland supports refugees in preparing to take the citizenship exam and works with them to improve their civic fluency. Better understanding the new culture and systems they live in means greater access, inclusion, and belonging. 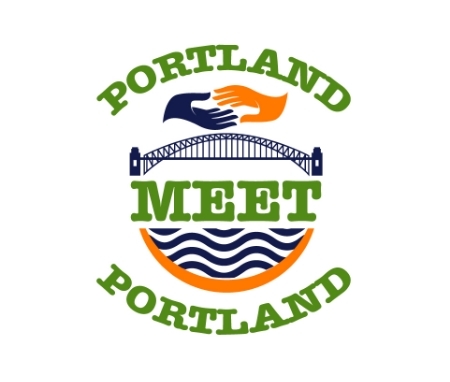 Portland Meet Portland understands that citizenship and civic fluency is essential to newcomers’ confidence building and success in school, work and community. Immigrants and refugees arrive in Portland with varying levels of English and with a range of educational and experiential backgrounds. Some have university and graduate degrees and others have never been in a classroom. Some grew up in urban and others in rural environments. Many come as professionals and experts in different fields from the own countries. Most newcomers work in jobs that have shifting work schedules and mothers often have significant childcare responsibilities limiting their mobility and schedules. We therefore offer custom tailored and flexible Citizenship/ESL and Civic Fluency learning opportunities ranging from in-classroom, in-home, and one-on-one tutoring specialized to a student’s particular level and needs. We also offer drop in social service hours where immigrants and refugees can come and work with a volunteer or community representative to ask questions about or problem-solve an issue, get help filling out paper work, or get referred to other agencies and resources.